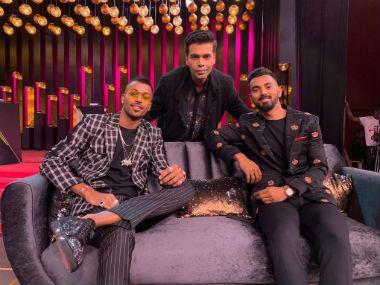 In its newest — and fifth — season, filmmaker Karan Johar's talk show Koffee With Karan has been making all the right waves. If Twinkle Khanna on the KWK couch was a laugh riot, then other guests, like Shahid Kapoor and wife Mira Rajput brought a certain elusive cachet. But no episode this season has met with the kind of response that the latest one, aired on Sunday night (11 December 2016) did. 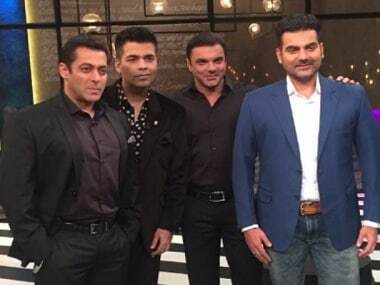 KWK's 100th episode saw the brothers Khan — Salman, Arbaaz and Sohail — take to Karan's couch, and submit (gracefully) to his grilling. What becomes immediately evident is the close bond the brothers share, and that is what makes this episode triple the fun. This rather quotable quote comes courtesy Salman, when the trio is talking about how their close their bond is. Salman mentions that he, Arbaaz and Sohail had to share a room for several years while they were growing up, and they were used to being together that they even ended up wearing the other's underwear on the odd occasion! Arbaaz denies this vehemently, but Sohail admits to having done this, adding, "But it was washed first!" Karan points out that Salman — despite his superstar status — lives in a very small house. While his brothers joke that it's because Salman can't abide the idea of living in a big home where he'd need an intercom to call the others, Salman himself gets nostalgic, talking about how he and his brothers lives in one room, while their parents — Salim and Salma Khan — had one room, and the boys' sister Alvira had another. Then they bought the adjoining flat and got some more room. And as Salman begins to say, "Then these guys got married..." Arbaaz interjects with "Which guys? You don't read the papers or what?" casually referring to his impending divorce from wife Malaika Arora. Salman admits to Karan: "I'm not the nicest guy when it comes to relationships" and when Karan points out that he's been in several long-term relationships, he replies: "I was not very good with them". Arbaaz laughingly adds: "He was good to other people at the time!" although eh and Sohail later agree that they've been close to all of bade bhaiyya's girlfriends. As Karan begins to question him about Iulia Vantur staying with and becoming part of his family, Salman brushes it off by saying, "Whoever comes to our house becomes our family member. Even at the smallest parties, we have 400 people there!" This quality of the Khan family — to accept everyone into their bosom — is apparently legendary. From thieves, uninvited guests to friends who were offered a place to stay for a week and ended up living with the family for a year — Salman, Sohail and Arbaaz have some funny stories to share. And you get a glimpse of a warm, close-knit family that has stayed together through thick and thin. "We also had our chances!" says Arbaaz, about getting opportunities to be in the limelight but not being able to replicate Salman's success. He attributes it to not being able to replicate Salman's hard work — until fairly recently. 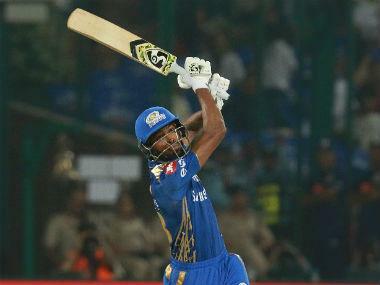 "He'd come back tired after a shoot, and still hit the gym." Sohail elaborates: "As they say, the harder you work, the luckier you get. We didn't have the fire he (Salman) had, not at that age. We look forward to holidays, he looks forward to work." Salman shrugs off his brothers' comments that he's a workaholic by explaining why he feels compelled to work without pause: "Every day I'm working, a lot of people are getting their daily wages. And every day that I party, I feel like I'm taking that away." He also narrates an incident about his friend Mohnish Bahl — in the rush of working on his debut film, Mohnish had told Salman, 'How I wish I could take a break'. After his debut film flopped, all of the film offers he'd got, dried up. Salman says it's something that stayed in his mind (and perhaps made him superstitious about ever wishing for a break from work). Sohail Khan narrated a rather sweet story about how he and his then girlfriend Seema Sachdev got married. Apparently they needed to tie the knot rather suddenly as Seema's parents couldn't find out about the relationship. So he got Seema home one night, and explained the situation to his father, Salim Khan. Meanwhile, a few friends of his had gone off to 'kidnap' a maulvi to solemnise the nikaah. When the maulvi was brought to the house, he looked at Salim and said: 'Aisi harkat tumhare hi bete kar sakte hain!' It turned out the same maulvi had been kidnapped when Salim Khan had eloped with Salma Khan (then known as Sushila Charak) all those years ago, and had performed their wedding ceremony. While much was made of Salman's difference of opinion with Shah Rukh Khan, Salman says it was only a "small problem". "One day something happened, and then we moved on," Salman says, pointing out that at no point did the argument ever affect their families' relationship. "When you start out (in the industry), you'll spend time together. Afterwards you get caught up with work and family, and then you don't (spend as much time). When Shah Rukh and I had that small problem, I never stopped anyone (Sohail, Arbaaz) from spending time with him. There was Gauri and the children, and they were all friends with out family, and that didn't change." Salman also says that while he doesn't get to spend as much time with his peers as he wishes, he does love them all — from Shah Rukh and Aamir, to Akshay Kumar, Ajay Devgn, Suniel Shetty, Sanjay Dutt and Jackie Shroff. Salman added that this attitude probably came from the way Salim Khan had handled his professional split with Javed Akhtar. "Dad sat us down and said that he and Javed uncle weren't going to work together anymore, but that he would still be Javed uncle to us, and we would continue to (show the same love and respect) to him and Honey aunty, and Farhan and Zoya." Sohail and Arbaaz added that the incident ingrained in them too, a sense of how to 'keep things separate'. Sohail, on being asked by Karan is he got away with stuff because he was the youngest brother, says that it was the opposite: whatever he wanted was taken away by his two older brothers — including all the girls in Bandra. He then narrates how Arbaaz's bedroom, once they grew up, was called the 'Bermuda Triangle' of the house when it came to girls — any girl who visited the house would simply be 'sucked up' int his room! While the brothers Khan do reply diplomatically for the most part, one thing that emerges is that they think highly of Alia Bhatt. When Karan is asking Salman to name the actress who would wear a T-shirt with particular slogans (that he reads out), Salman names Alia for 'Being Goofy', telling Karan, "I love your heroine, Alia Bhatt." Later, when Sohail is asked to rate leading actresses in Bllywood according to their acting talent (from a list provided by Karan), he puts Alia at the very top, saying: "Alia, then Deepika, Priyanka, Anushka, Katrina". There's also a fun rendition of 'Jumme Ki Raat Hai' by Salman, complete with sound effects!